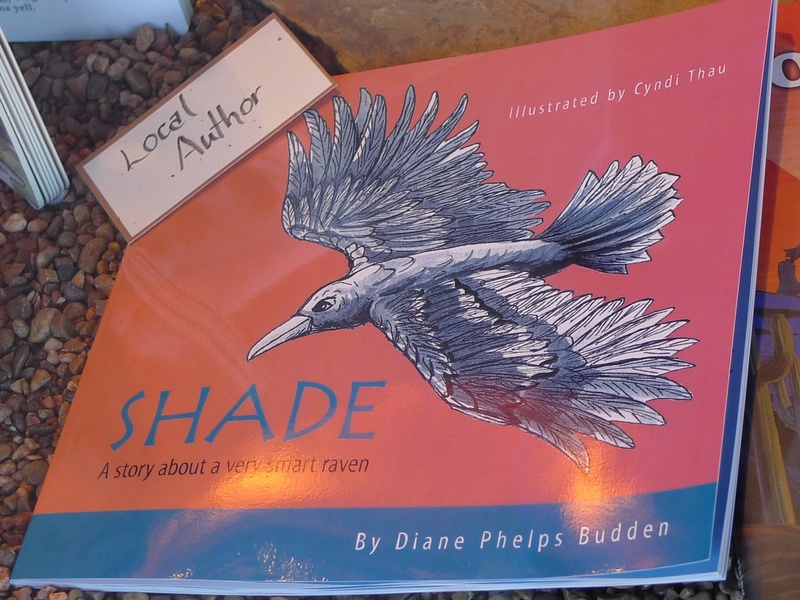 Shade was a big draw at the local wild bird store. Emily gave a fact-filled talk while Shade looked on. 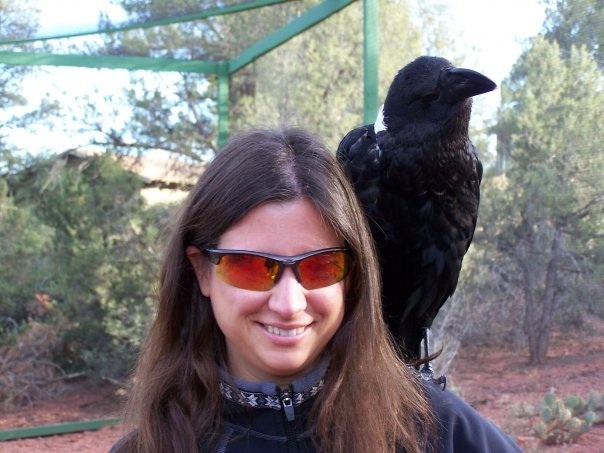 Here, while Emily tries to sign a copy of the book about Shade, “Shade; a story about a very smart raven,” Shade is trying to steal the pen from her hand. Clever bird! This beautiful photo of two ravens soaring with a shadow reflected on the red rocks was taken by my friend Loren Haury, a professional photographer. 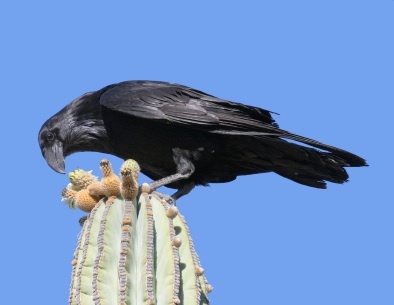 He is a fellow raven lover and has searched raven haunts to obtian this photo and others you can find at http://lorenhaury.visualserver.com/ You can view his collection of raven photos as well as other breath-taking nature shots. Thank you for sharing, Loren. If you’ve read the book, I thought you might want to see the real Shade and Emily, so I located these photos. 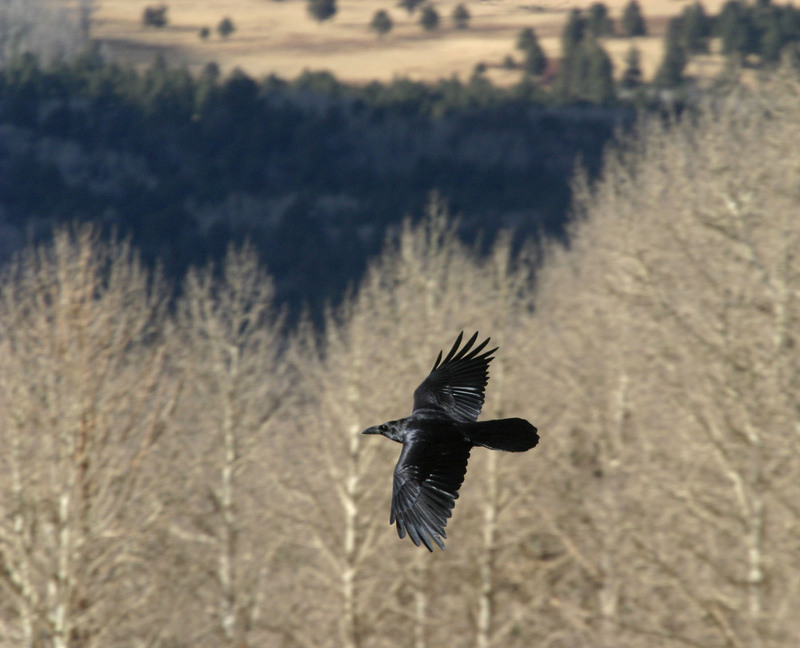 Here in Sedona, we can see the ravens swoop and soar through the sky, often in pairs. 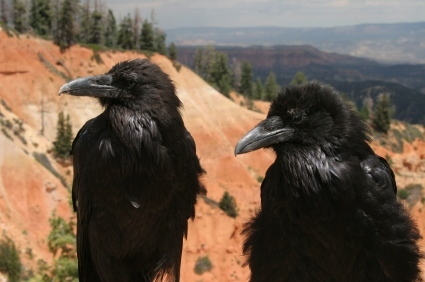 Ravens mate for life and produce young in the early Spring. Both mom and dad take care of the babies, bringing food to the nest. 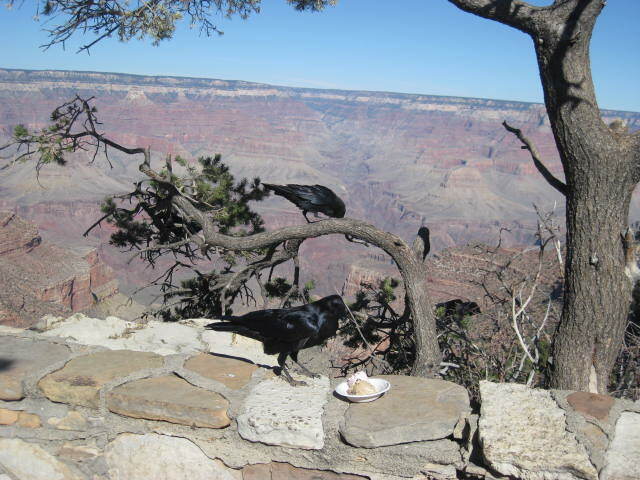 Whether mates or not, ravens have been seen to “help” one another in the search for food, and share in the spoils, which in the wild can be “road kill,” but in town can be a Colonel Sanders special. 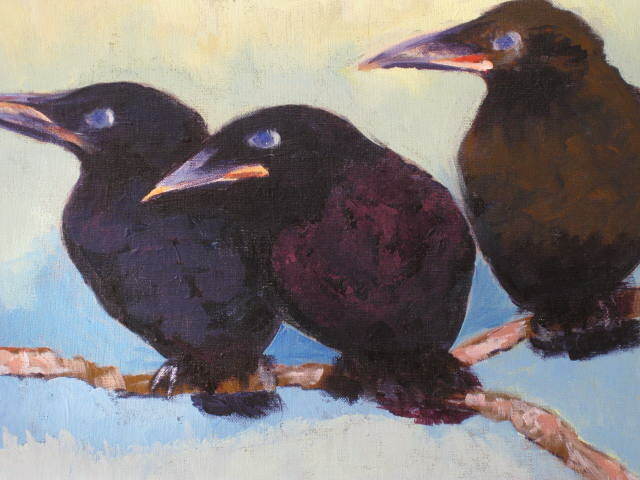 Ravens have excellent eyesight. 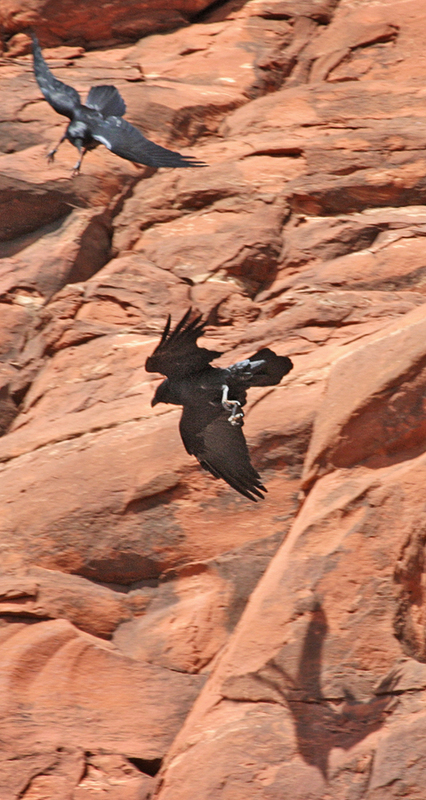 They can fly upwards of 30-35 mph, ranging 30-40 miles from their nest during the day. Even more important, these birds are smart. 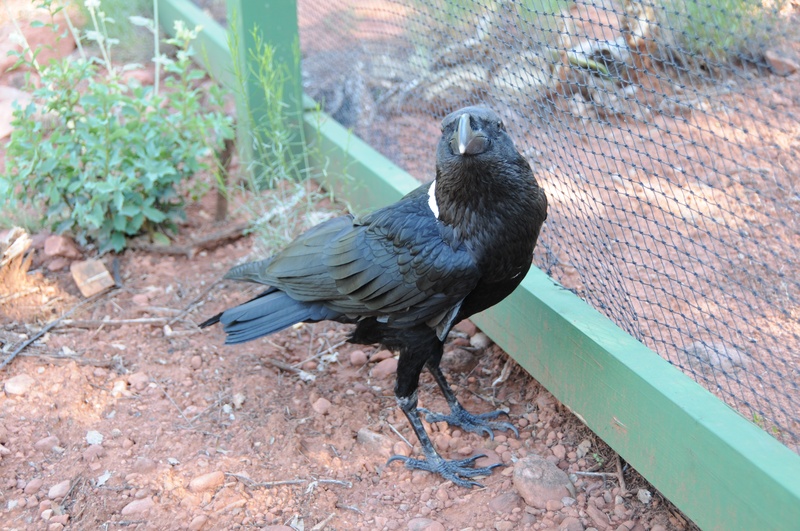 They are considered one of the smartest birds in the world, after parrots. They are excellent problem solvers, and have been known to employ tools, i.e., sticks, stones, etc., to get what they want. 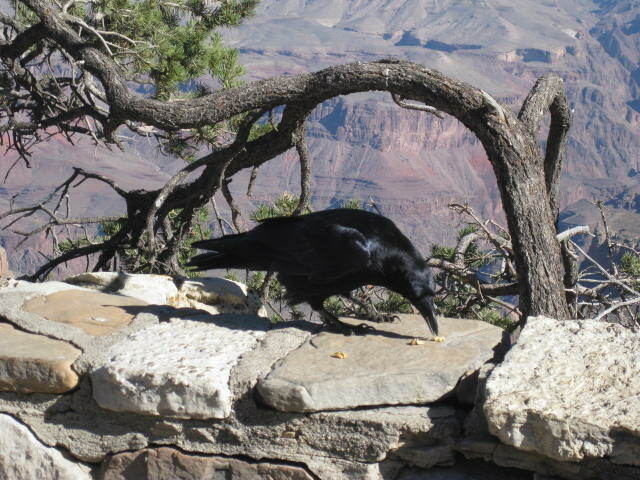 A researcher back East set up an experiment with ravens to see if they could obtain some food from a machine he set up that dispensed food when a coin was inserted. 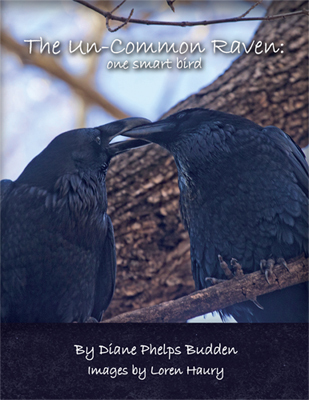 It wasn’t long before the raven caught on and put the coin in the machine! Some smart bird!